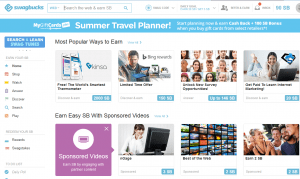 Home › Reviews › Is Swagbucks Legit? Is it a scam? Is Swagbucks Legit? These questions, many people have before venturing into an unknown company. In this detailed review post, we will be exploring if Swagbucks is a legit way to earn money safely, tips on using SB, and if its worth the time. So please follow me down this rabbit hole, we call Swagbucks. This SoCal company was birthed in the 2008 year of our Lord. Always wanted to say that, checked that off of my bucket list. Okay…Swagbucks is an online reward website. Rewards points or what Swagbucks calls “Swag Bucks” can be earned by a menagerie of activities such as, shopping, searching, playing games, exploring online materials, and taking surveys. You can be paid to surf the internet, I mean how cool is that? These tasks can be performed through Swagbucks website and/or mobile apps. It is available for both Android and iOS. Swag Bucks can be exchanged for actual money either through popular retailers like Wal-Mart, Amazon, Target, Apple, etc. via gift cards or deposited in your PayPal account. They have paid out a total over $100 million dollars in gift cards and have over 12 million members. With numbers like that Swagbucks must be eating all of their vegetables. To get earning with Swagbucks you first need to sign up here. You can sign on via your computer and or smartphone. The great thing about SB is that they have multiple ways to earn Swag Bucks. So you’ll see at the top left of the screen ways for you to make under EARN YOUR SB. The easiest way to earn is probably the search function. It works when you are signed in and search the internet using either by using their search button at the top of the screen or add the Swagbutton to your browser. The Swagbutton is available for Firefox, Chrome and Internet Explorer. It is not possible for Safari at this time. If you’re serious and committed to earning I would suggest you download the Swagbutton and set Swagbucks as your default search engine. Apparently, it runs better on Chrome and not so much on IE. 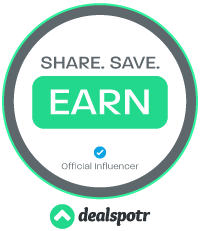 Once you have the Swagbutton installed on your browser, whenever you are visiting a website it immediately lets you know if that website offers Swag Bucks for shopping and the amount of SB you get per dollar spent. When searching using their site sometimes, you have to enter a captcha code in order to receive SB. Swag codes – Lets you know instantly when a code is available. This is an easy way to earn. Watch Videos – All kinds of content to watch, movie trailers, funny clips, informational videos. Full Access – See all coupons and special offers Swagbucks has to offer. Refer friends, family, co-workers, and or website visitors. To earn 10% on whatever they earn for life. Great way to get SB. Here. Their surveys are just like the other ones you see online. You should answer the questions honestly to adequately be targeted for surveys that you’re more inclined to. Use coupons to earn 10 SB for each coupon you redeem. You are required to install the additional program called Coupon Printer on your computer. Coupons can be found under Shop. They quite the range of products with which coupons are available. There is a daily maximum of playing games, so when the limit is reached. The number is 10 SB. It’s not a lot, but it sure is better more fun than other ways. Under the Watch tab, you will have plenty to watch and the SB various for each video. There is a 150 SB cap! If you are under the age of 18, you can earn money here for yourself. No age requirements. They have SB codes that you can enter to add to your SB lot. Via Swagbucks Blog, Instagram, Facebook, and Twitter. Some of the games are really fun. Takes some time to earn Swag Bucks for it to amount to substantial amounts. Swag Buck codes are usually hidden and must be searched for. If you use coupons, it could take up to 12 weeks to clear and receive your SB. Search engine results are not the same as Google. Be mindful of the time you invest in Swagbucks as it can be a bad return on investment when considering the value of your time. Anybody that is looking to earn money. Kids, unemployed, disabled, working, old, young, oh heck, just about anyone. Some people make about $750.00 a year doing this. Not too bad. I could pay for gifts, Christmas gifts, a small vacation. Everything is pretty straightforward and easy to understand and I don’t think training is necessary. They have a Contact us, Help Center, How it Works and Do’s and Don’t s page which get you pointed in the right direction. Daily check out your Swagbucks inbox located at the top of the screen for ways to earn. Sometimes there are ways to earn 2 quick SB. Add Swagbutton for a quick 50 SB. You can uninstall it later if you decide you don’t like it. One of the biggest tips I have is to use it daily, the more you use it daily, the more rewards continue to grow every day you use it. So hit your Daily Goal and receive bonuses. They just continue to build. The higher the payout for SB the more time it will take to complete it. So that you can decide if it’s worth it. When searching, do and search exactly as you would normally do. I think they frown on using this excessively. Use your smartphone to help earn more SB. Is Swagbucks legit? I would say so and so would millions of other people. When trying to earn money online, you will always question, “What is my time worth to me?” That is a good thing; it helps you keep things in perspective. If you feel this is a good way to make extra cash, by all means, pursue this. You’re not going to be the next richest person by doing Swagbucks but it can help pay for something that you want in the future. I think this is a great way for a young kid to earn extra money when not old enough to get a job yet. If your looking for a real way to start making real money that requires real effort and time check out my #1 Recommendation here. Thanks for the suggestion and your experience, others might find it very useful. I don’t allow referral codes from guest on my comments, sorry. If you would like information on how to build your own website and then suggest products to other people, I would point you to my review of Wealthy Affiliate, it has taught me how to build and create websites. This program works and it is how I learn and still learn today. Hope this helps.